Fransham, Norfolk on the line from Kings Lynn to Swaffham and Dereham. 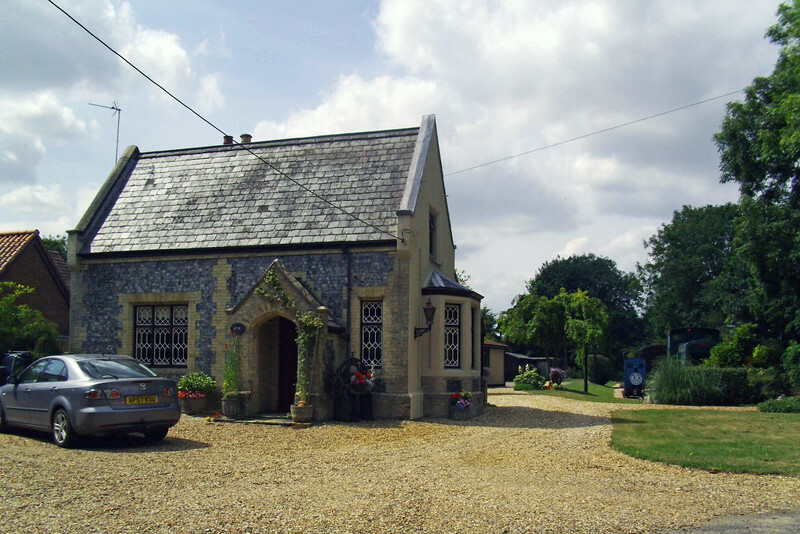 The view of the rather fine station house on 31st July 2014. The platform was to the right. Thomas the tank engine and an unidentified diesel shunter occupy the garden area. The line closed on 9th September 1968.